Wipro is already involved on IT projects for Sydney Water, having won a tender to “design, build and run Sydney Water’s billing and customer relationship management system”. There are 120 staff in India and about 300 in Australia working on the system. 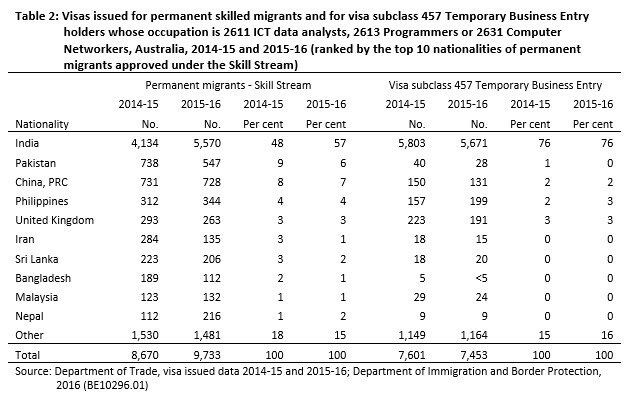 This is exactly the type of malfeasance that the Australian Population Research Institute (APRI) warned about in its 2016 report “Immigration overflow: why it matters”, which examined the widespread rorting of Australia’s visa system, especially involving Indian IT workers. How can Australia’s low wage growth possibly be ‘fixed’ when our own governments employ policies designed specifically to undermine pay and conditions? The treasonous NSW Government is actively working against the interests of its own citizens employed in the IT sector. As taxpayers if they are going to pull this crap, then get us a better deal. $100k jobs, outsourced for $50k isn’t good enough. Use their own slime ball tactics on them. $20k pa. There’s tonnes of them, shouldn’t be hard to leverage them off against each other. Working in Health, and personally managing some fairly complex eHealth rollouts, it’s at the forefront of one’s mind to be very prudent with ensuring our vendors run through our security governance framework (including pen testing etc) to ensure it’s all housed in AU. Not sure what the data sovereignty rules around the RMS thing was, but since you’re dealing with Sensitive: Personal, I am guessing data should all be domiciled here. 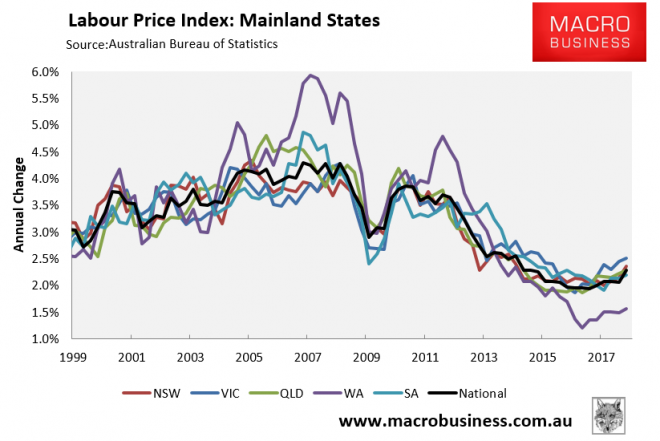 Apropos the 55k job above – we needed someone with MS SQL/ETL etc etc skillz and some Qlik or PowerBI skills thrown in, could not get anyone to move from SydMelBris to regional NSW for 110k base – had to get a sub continental citizen who is very very good. He’s on good $ too so everyone wins. For pen testing you could ask Reusa to help. He is good at it and would probably do it pro bono, too, if you have good quality product. ^^ Hey I don’t go testing no one else’s pens brother, lest I get ink on my hands! Your pen is mightier than the sword, Reusa. At least they were honest enough to say it was about costs and not skills……. “There is a large proportion who don’t have the skills to meet Australian standards,” he said. I hope you’re joking? Plenty of bad code has caused people to die.. I direct you at uh…. Tesla suicidal auto-pilot – as a fresh example of “code causing people to die”… and let’s not start a thread about hospital equipment which does run code and what happens when the fffffantastic thing locks up a conditional branch because erroneous assumptions and/or data input. Yes some code is critical, but for every piece of medical equipment there are hundreds of household gadgets, so most code is not critical. The contract went to WiPro, which is an Indian IT company, which imports hordes of IT workers on 457 and 482 visas. They have to pay the locals $52,700 a year which is probably three times what they need to pay their workers in India. Don’t worry about them though, the workers in India will sell your RMS driver’s ID data to identity thieves. With elderly parents in tow, headed straight for the Seniors Cards / half price public transport / free medical care and aged pension. Five years experience with real-time multi-threaded development for $55k, sounds legit! 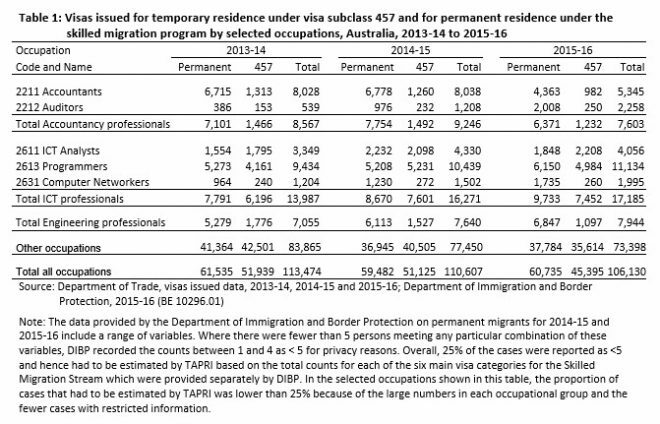 And SA Premier Steven Marshall wonders why young South Australians keep leaving but simultaneously wants more “skilled immigrants”! BS like this is exactly why I’m discouraging my kids from considering a career in IT. Interesting stuff John! Should definitely have the same laws for IT and accounting. Only allow foreign labour from those nations to come in – not cheap third world labour on $10/hour. BTW I agree with you not letting your kids do IT or any STEM coz it’s equally bad or worse in Australia than many third world countries. And I don’t even understand why would a good programmer in C/C++A with a knowledge of SS7 Protocol would even want to be in Australia. Maybe we should should send this programmer to Tamworth as per Barnby Joyce so that he/she can enjoy the redneck country music there . You mis-understand; that job is not designed to be filled locally. It just needs to be advertised locally now, to demonstrate that no local candidates can be found before importing a 457/482 visa holder who will be grateful for the $55,000. That`s exactly what is happening, and exactly what a local would have to compete with. Lots of developers are contract to contract. I wouldn’t like to have a mortgage in that scenario. ^ nailed it. We don’t have a local “skills shortage” at all, it’s only a shortage at the crappy price employers are prepared to pay. Pay more and the “shortage” magically disappears. Even there products sack workers! Is this where the “learn to code” meme comes from? Thank you very much, John. Loved reading it. Jesus, all that for $55k. Who on earth would work for that amount with those skills? You should get paid a hell of a lot more than that. Not in Australia you don’t! And a house was $150k then. A nice one. We have progressed a lot in this country. Yes, me too on that two years out of Uni in 1988, I was on 55k. Thirty years of progress eh? From memory, we sold a three bed in Kambah around that time for 110k or so, prolly worth 700k now. Problem is, when you are trading in a sector where your competitors are doing this, what choice do you have? Regulation could swing things back in Aussies’ favour, but the polis want to reward donors and get rewards later. Fake advertising to justify importing Indian slaves. We’d pay $100K+ for someone like that. My job at a local council (postcode 4350) was eventually filled with an Indian IT import too at a lower wage. It ain’t just the fed state govt’s doing this. There is not a politician this side of the black stump talking about reducing the size of govt. As our economy shrinks everyone but the govt will need to take a haircut. Govt is sacrosanct (exceptional). Stop doing stuff…..pretty much everything. Not sure how helpful that is though. What’s the difference? Many companies just use Indian immigrants instead who are technically Australian the day they arrive off the plane or get approval. Everyone in the world is an Australian just accept it and move on, if you can’t beat them…. I see pitchforks coming, thousands, millions of them. Whether we like it or not all the pollies want globalisation and cheap labour. Nothing us plebs can do about it. Only the historically challenged would make such a remark. Give it time. The anger is already out there, it just needs a bit of a crisis to set it off. That will fix thing. I suspect that, unless you fit into one of the ‘approved’ categories you may find your application put to the bottom of the pile. Make sure you turn up in a wheelchair or with a walking cane, otherwise you’ve got Buckley’s of getting in. also put make up on and be outrageously flamboyant – just to make sure you cover uh… all bases. Spread the risk, as it were. Hedge your bets… that kind of thing. Good luck Stags, not the career it was, but one of the few places you can actually plan a career in. I assume there will be the usual AI (lol) front end? Please tell us in a few words the problem you are enduring? I can’t lodge my sh#tty hours because the bloody link has disappeared. I’m sorry I don’t understand. Please tell us in a few words the problem you are enduring? Rinse and repeat 14 times. I’m sorry I don’t understand. Please wait while I transfer you to an operator? Hi my name is Raj. Have you tried turning it off and on again? Let’s not conflate AI with a poorly designed IVR, hey? If you know the name of the king or queen being murdered please press one. I know a big Aus IT manager based in Melb, and the same is happening here. He says the immigrants are better than locals. He’s getting paid a fortune you’ll be glad to hear. They aren’t willing to give the local grads a go is what I gleaned from a chat. He says the immigrants are better than locals, FOR EQUIVALENT PAY. The low pay the Indians tolerate (relative to local workers) is the price they are prepared to pay for permanent residency or for local work experience. They will put up with all sorts of crap until they get their PR, or until they have accumulated enough experience in Australian companies that they can leave and demand more equitable pay elsewhere. Then the hiring company simply backfills them with fresh Indians. This is mostly happening at banks, telcos and gov agencies that have ‘partnerships’ with TCS, HCL, InfoSys, DiData, DXC etc that allow them to bring over resources with no-questions-asked about their dubious qualifications, experience and general aptitude. I got talking to an Indian taxi driver the other day about hiring IT staff. He was saying I should look to employ Indian immigrants because most expect to pay you for the job. I felt mildly ill after that conversation. Guess I never got the memo during ethics class. I’ve been IT contracting for almost 16 years now and I can tell you there is far more job security being on a contract rate. The only permanent job I took in those 16 years was outsourced to India within 3 months. So I will not take permanent roles now, they just don’t have the job security. Same here. I’m lucky as I can do some US and EU ones remotely. I really don’t like working here now. We’ll pull the pin and return OS when I can. Where to though afund? Isn’t this now, sadly, standard around the world? Also curious where you’d suggest going afund. We’re also thinking of upping and leaving, but it seems like every bloody country is pulling the same neoliberal BS as this one is. We’re thinking maybe Poland as my wife speaks Polish fluently (amongst 5 other languages) and it seems pretty independent. even if you think your MSP is Australian based, https://www.continuum.net/ is a back end with 2000 Indian chaps doing IT that will fix anything, with remote management. IT career in Australia is history. Agree with the article. But has anyone in Australia bothered to rise into the high end IT and still move the lower end jobs overseas as they do in US and Europe. Nope. Lack of high end skills in anything STEM, cause we are all focused on low end real estate and tradie(read protectionism) and other fluffy skills. When the technical quality is equally bad here in Australia and cheaper overseas countries, why should I spend more on local resources ? Probably we need to fix the quality of STEM education at our universities first. And the few smart folks who graduate from our universities don’t stay in Australia for too long for the local companies to hire them. Even if they were to apply for a job in the local companies, there would be no one smart enough to interview them, understand them and hire them ! We’re never going to fix STEM education in this country because we don’t have STEM industry in this country (of note). A place like MIT gets it right because there’s a strong interconnection between industry (right on campus or nearby) and education. Our idiot leaders seem to think that STEM education leads STEM industry but it’s the other way around and they’ve done everything right to kill STEM industry. Our university degrees are simply holidays for rich kids or time-passers while waiting to get PR. Education has nothing to do with it. My Uber driver the other day made exactly this point as he’s one of the people doing it, spending 40k per year on “education” that he doesn’t even care about, just waiting to get PR.